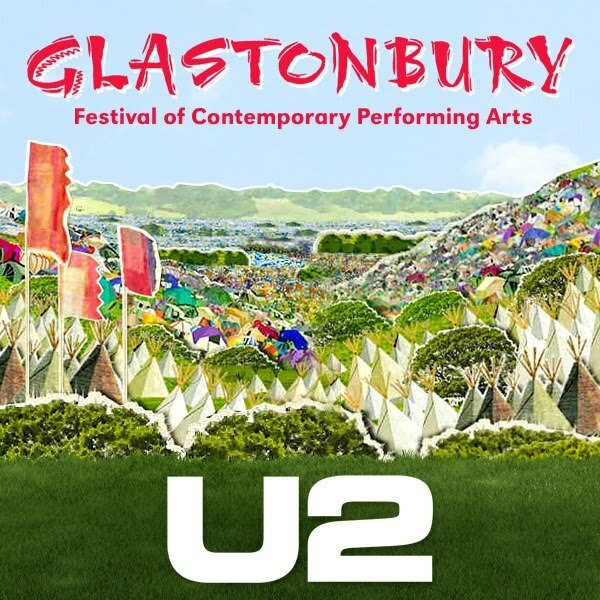 In June 2011 the band finally headlined the greatest rock festival of them all, Glastonbury in the west of England. Performing on the Pyramid Stage on the opening night, they defied the rain and slippery stage from the opening bars of 'Real Thing' to the closing chords of 'Out of Control'. Nestling between two tracks from The Joshua Tree (Streets' and 'Still Haven't Found') came a blistering rendition of their very first single, 'I Will Follow'. A digital version of the track was released a few days later through iTunes.